Second in a series of articles about RDECOM’s support for the Army’s six modernization priorities. Soldiers in the field need the right equipment to be successful. A tank that is too heavy to cross a bridge or maneuver through rough terrain and high altitudes can have a serious impact on mission success. To meet the challenge of keeping Soldiers the best-equipped in the world and to prepare for the battlefield of the future, the Army has refocused its modernization efforts on six priorities: long-range precision fires, Next Generation Combat Vehicle (NGCV), Future Vertical Lift, the network, air and missile defense, and Soldier lethality. To support the second priority, the U.S. Army Research, Development and Engineering Command (RDECOM) has aligned its science and technology ground portfolio to directly support the NGCV effort and created a team-of-teams approach, led by the RDECOM Ground Vehicle Systems Center in Detroit. Other teams include our six research, development and engineering centers and the U.S. Army Research Laboratory, the Army’s corporate lab, along with domestic and international academic and industry partners and the cross-functional teams developed as part of the U.S. Army Futures Command. As RDECOM moves from the U.S. Army Materiel Command to the U.S. Army Futures Command, the command’s centers and laboratories are working closely with the eight cross-functional teams to develop a concept of operations and to provide technical analysis, portfolio alignment, proposal and program briefings and a coordinated modernization strategy. The Army is changing the way it protects its forces as the velocity of battle, the lethality of potential adversaries and the range of threats increase in multidomain operations. Historically, the Army countered the impact of the enemies’ more powerful and lethal vehicles by adding armor to combat vehicles. While this provided additional protection, it also increased the weight of the vehicle, reducing its speed and increasing the need for fuel. 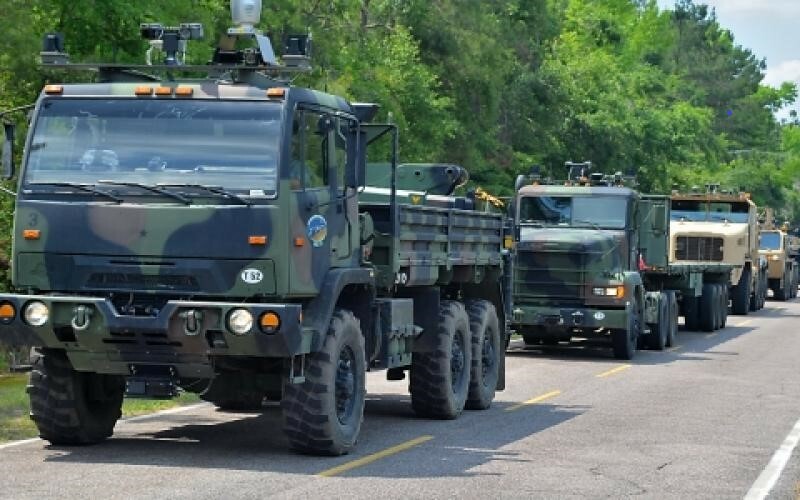 The Modular Active Protection Systems (MAPS) is a multiyear RDECOM program led by the Ground Vehicle Systems Center in collaboration with the acquisition community and industry. The overarching goal of the MAPS program is to produce a modular and open approach for developing technologies that will be used to enable agile, layered protection against current and future threats in demanding environments. The MAPS science and technology program has established a community of interest that ensures maximum participation by government and industry experts to help shape products and establish the right solution for the Army. This community is shaping and driving development of the MAPS products by leveraging industry partners to inform and fortify products to ensure their success. Community of interest members help frame the future of active protection systems (APS), and they leverage their knowledge of MAPS to update or develop technologies that are compliant with the MAPS Framework. The community is made up of 55 members of industry and academia from the computing technology, vehicle platform integration and vehicle protection systems communities. Numerous industry partners have driven and fortified the development of MAPS products. MAPS has funded more than 27 key organizations throughout the life of the program and worked with more than 55 companies to develop products through the community of interest. MAPS defeats incoming threats to combat vehicles without adding excessive armor weight. 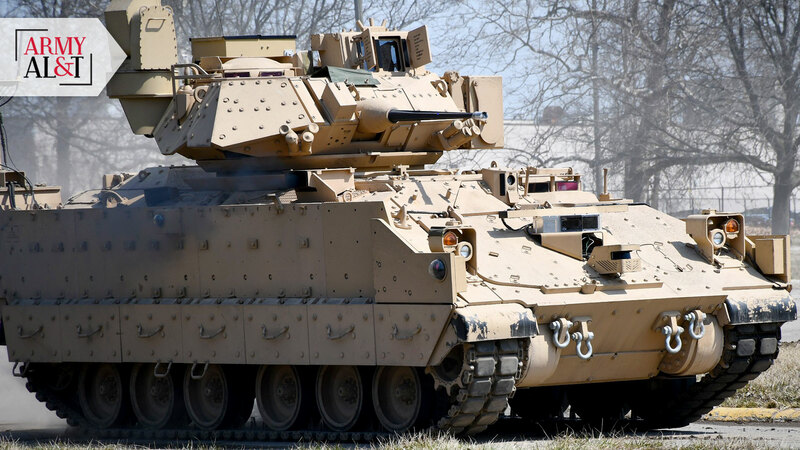 While these active protection systems—sensors, defeat mechanisms, processors and other components—are not a replacement for armor, they can significantly increase survivability of vehicles and Soldiers in multidomain operations by integrating hard- and soft-kill systems. Hard-kill systems use physical countermeasures such as blasts or projectiles to destroy or divert incoming fire, while soft-kill systems use sensors that detect signatures from weapons and send out electromagnetic signals to interfere with incoming weapons. Increased innovation and rapid integration that will provide a quicker response to evolving threats. More competition and diversity within the APS community, which will keep costs low. Consistent, rapid implementation of safety and cybersecurity across active protection systems. As MAPS technology evolves, additional protection technologies may be added, including active blast mitigation, adaptive armor and obscurant inhibitors. MAPS has been identified as a critical technology in the draft NGCV capabilities development document, and it supports the current NGCV requirements, so it will be integrated at the earliest possible date. The Ground Vehicle Systems Center’s work with the Robotic Operating System – Military (ROS-M) covers a spectrum of autonomy and robotics, including small explosive ordnance disposal-assist robots that have been fielded as part of the advanced leader-follower capabilities that Soldiers in two transportation battalions will see by summer 2019. The ROS-M uses an open-source approach and a widely accepted software framework with common government and industry software to develop military robotics and autonomous systems. The open-source approach allows developers to create software modules for different applications and enables integrators to build modular systems using the best software modules available for military autonomous systems. Robotics helps Soldiers in two ways: It eliminates the need for Soldiers to conduct mundane, dangerous or repetitive tasks that can be automated, and it increases the standoff distance between Soldiers and a threat, which can greatly enhance safety. Additionally, automation can increase logistics on convoy missions. For example, a pair of Soldiers can operate a convoy that normally requires two Soldiers in each vehicle, freeing the additional Soldiers to conduct other missions, such as providing security for the convoy. Soldiers in combat or on patrol perform several tasks simultaneously: maintaining overall situational awareness, communicating with higher headquarters, planning and adjusting routes for manned and unmanned vehicles, monitoring sensor locations and gathering information from multiple sensors. Given all these tasks, they may not have enough time to focus on sensor imagery that may contain many objects that could be interpreted as targets. Spotting and deciding on the validity of potential targets is critical, so RDECOM has developed the Aided Target Recognition (AITR) system to reduce the Soldiers’ workload and enable them to perform their jobs more effectively. 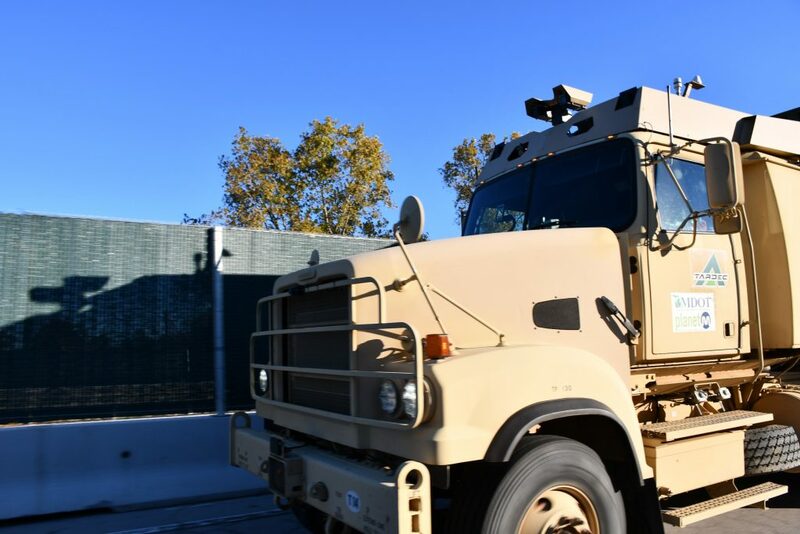 The RDECOM Communications-Electronics Center is providing real-time image and signal processing AITR algorithms to support manned and unmanned vehicle targeting and decision-making. These algorithms, along with new advanced sensors, will be capable of locating concealed targets in a variety of backgrounds and under a range of conditions. As the algorithms and sensors mature, they will provide automated detection of both stationary and moving threats, augmenting traditional AITR and increasing the survivability and lethality of the NGCV platform. Future efforts include integrating and demonstrating real-time AITR on NGCV platforms. The ability of ground vehicles to rapidly find difficult targets in complex environments will improve the ground vehicles’ lethality and ability to maintain overmatch in the future. RDECOM scientists and engineers are exploring the art of the possible by integrating emerging technologies onto existing platforms to demonstrate how they will work. These demonstrations inform Army leadership and the acquisition community about what currently exists, as well as what might be possible in the future. In particular, the Ground Vehicle Systems Center has been leveraging the Mission Enabling Technologies Demonstrator, a modified Bradley Fighting Vehicle, to demonstrate various emerging science and technology capabilities for manned-unmanned teaming. Until the requirements for a remote combat vehicle are determined, we have equipped a supply of M1113 armored personnel carriers with drive-by-wire and autonomy kits so that the Army can begin learning how to best use a remote capability. As we identify which technologies provide the biggest operational payoff, we will transition them to future NGCV increments. Since prototypes are more targeted and specific, we view them as the best way to “fail early” and “fail cheaply.” RDECOM develops a physical prototype after a digital prototype has passed a rigorous process of testing and experimentation. Putting designs and concepts through such a process greatly reduces the risk of significant redesign costs after production. The MAPS program received its first prototype controller (hardware and software) base kits in 2016. These have been updated through ongoing development and demonstration efforts throughout the program. The base kits will be demonstrated on a platform at the end of FY19 for an overall system technology readiness level 6, but we have already transitioned products to the Product Manager for Vehicle Protection Systems within the Program Executive Office for Ground Combat Systems. By collaborating across the command and working with academic and industry partners, we maintain a steady stream of world-class technology. 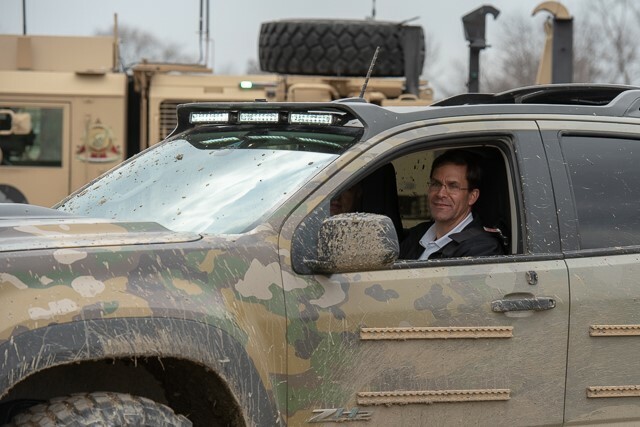 We also work with hundreds of nontraditional defense companies on NGCV ideas and technologies, particularly those from the automotive industry, whose long-term goals with improved powertrains and robotics strongly align with those of the Army. This synergy already has produced valuable advances in vehicle capability. Significant improvements in engine and transmission technology have resulted from these partnerships, including vehicles that are lighter and more powerful. These relationships, along with the expertise of the RDECOM workforce, will enable the NGCV Cross-Functional Team to make informed decisions about future technology. We regularly engage our academic collaborative partners on a wide variety of technology to support the NGCV modernization priority. Some of our academic partners include the University of Michigan, the University of Michigan Dearborn, Auburn University, Carnegie Mellon University and Michigan Technological University. We currently have more than 500 cooperative research and development agreements with domestic and international academic institutions, industry, partner militaries and government agencies. Such agreements enable both parties to trade access to labs, equipment, data and other resources for technical knowledge. RDECOM is committed to bringing the latest, most flexible, adaptable, modular and smart capabilities possible to Soldiers to give our leaders the tools they need to accomplish their mission effectively and safely. By partnering with industry and academia, as well as the automotive and defense industries’ ground vehicle developers, we accomplish our mission and provide the Army with our expertise in ground vehicle technology development and integration. For more information, go to http://www.rdecom.army.mil/ or contact RDECOM Public Affairs at 443-395-3922. Industry partners who wish to participate in the MAPS community of interest can contact the National Advanced Mobility Consortium at Questions@NAMConsortium.org to learn how to participate. MAJ. GEN. CEDRIC T. WINS is the commanding general of RDECOM. Wins graduated from the Virginia Military Institute and was commissioned in the field artillery in July 1985. His military education includes Field Artillery Officer Basic and Advanced Courses, U.S. Army Command and General Staff College and the National War College, where he earned an M.S. in national security and strategic studies. Wins also holds an M.S. in management from the Florida Institute of Technology.